Big time 3 by Vick, after an even better pass by Graham, and #KUbball is back up 11. Graham with 23 points, 6 rebounds and 5 assists. we need to play some tough defense over the next few minutes. Devonte' Graham misses KU first FT attempt of the game. "Over-seeded" chant breaks out from the Penn band. Graham up to 26 points and #KUbball leads by 10 again. 6:45 to play. AJ Brodeur, who had high-major offers before choosing to play at Penn, has 13 points and 8 rebounds. 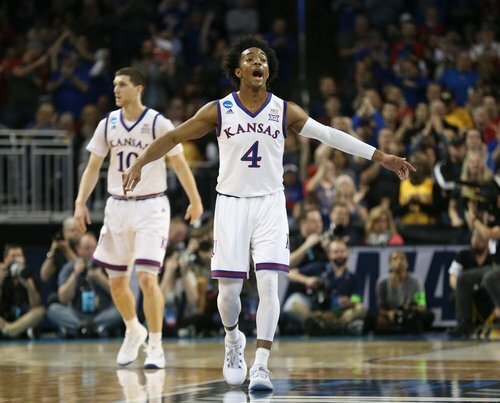 Devonte' Graham with 29 points after that 3. KU throwing a haymaker now. Vick with 14 points. 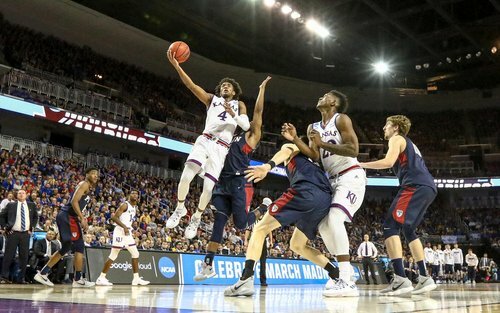 #KUbball matches its largest lead with an alley-oop from Svi to Vick. 67-54 Kansas. SVi with double figures finally. Fourth foul on Lightfoot heading into the final media timeout. Lightfoot knew immediately that he shouldn't have picked up that foul... His 4th... He winced to himself as the whistle blew and said, "Why" Timeout in Wichita. #KUbball leads 69-56 with 3:43 to play. We have only 7 TO's. Penn is 5-14 at the FT line. That'll hurt tomorrow. Newman grabs the offensive rebound, takes it up top to kill time, then drives in for a layup. Just how you draw it up. 10 second chance points for #KUbball today. HUGE in a 14-point game. 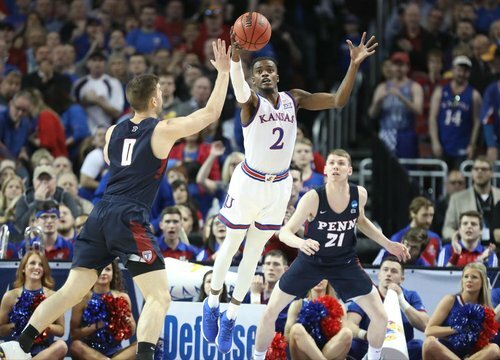 It wasn't pretty but KU will advance and see another game this weekend. Graham with a sigh and a stare for Lightfoot after that mishandled lob... Basically said, "Bruh." #KUbball leads 73-57 with 2:00 to play. Mitch would be a stud in the Ivy. That was Lightfoot's 11th rebound of this game. Not a great 1st half but damn solid in the 2nd half. #KUbball empties the bench. 75-57 with :56.7 seconds to play. In 17 second-half minutes, Mitch Lightfoot had 9 points, 9 rebounds and 2 blocks. Huge. 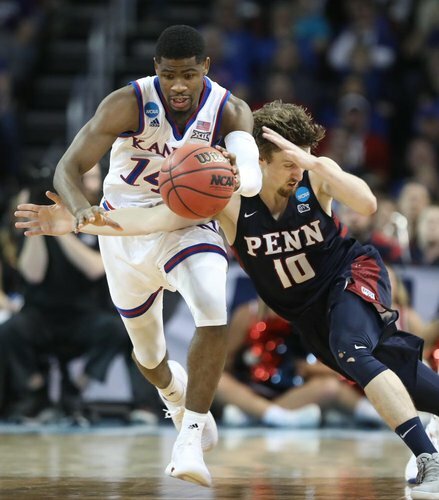 #kubball wins 76-60 over Penn.